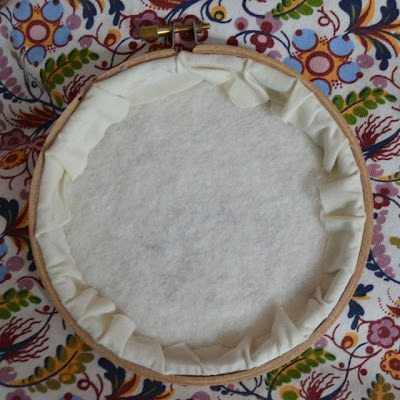 After ironing the embroidery (on the 'wrong' side) I put some batting (or wadding, used for quilting and available in craft and fabric stores) between the inner ring and the fabric. This gives your piece a slightly padded look and makes a nice neutral backing for your embroidery (so little stray threads etc are less visible). I cut away fabric (and batting) about 1-1.5 inch all around the hoop. Then on to the 'scary' glue bit. 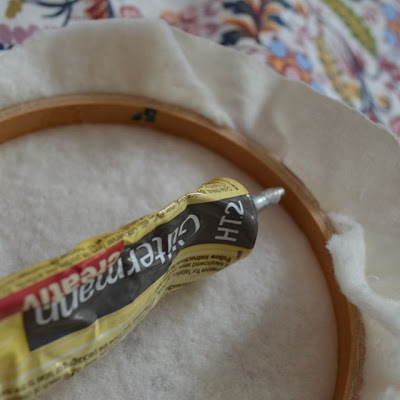 I use very little fabric glue (Guetermann creative HT2 available in craft stores over here, not sure about other countries!) on the inside of the inner ring. The batting also doubles as protective layer for any small glue accidents you may experience. 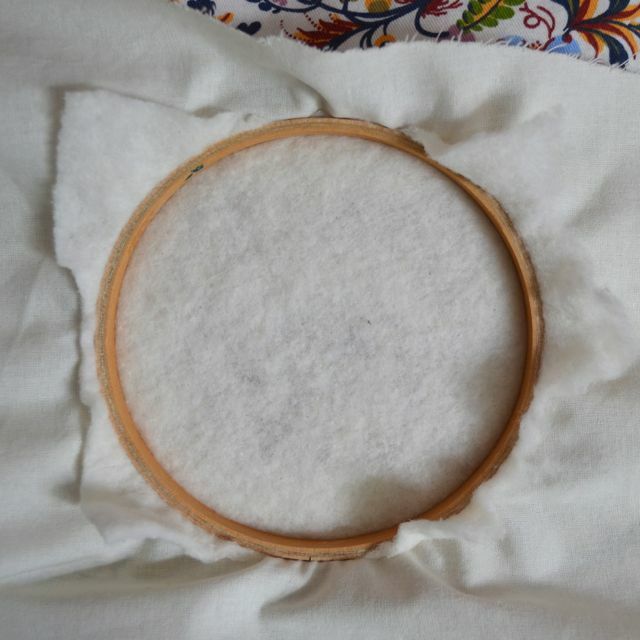 Carefully fold the fabric to the inside of the hoop and gently press the fabric against the glue on the ring. The inner ring is pushed slightly forward so the back 'sinks' in the outer hoop thus making the piece not too bulky on the back. To finish the back of your piece I find the most easy thing to do is to trace the outer ring of the hoop on a piece of felt, cut the circle out and glue it on the hoop. So I'm curious: how do you frame your embroideries? To glue or not to glue? In proper frames behind glass? Let me know! Thank you for posting this. 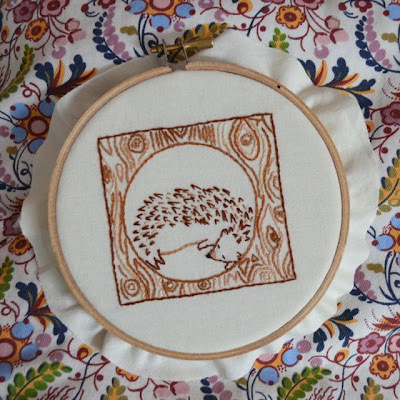 I've never framed anything in a hoop, and I'm looking to learn how to do it nicely. I wouldn't put an embroidered piece under glass. I feel too much of the feeling in the work would be lost. As far as how, I'm soon going to frame a gift I received, according to Jenny Hart's filmed tutorial. 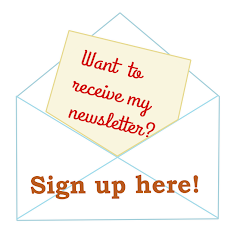 It's wonderfully simple and easy. My partner has framed a piece similarly, and that one turned out really well. Nicole ~ thanks for the tutorial and I just love that little hedge hog ~ so cute! 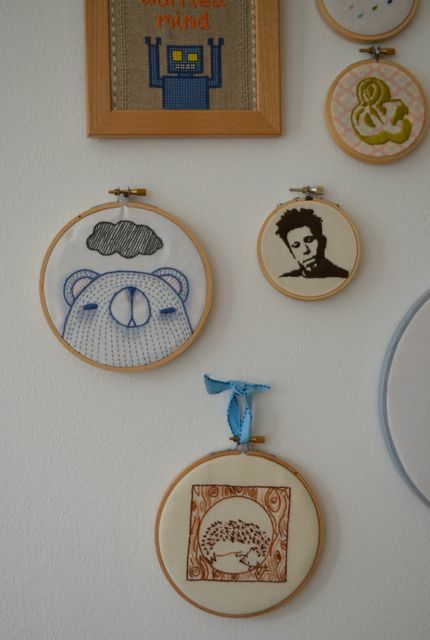 This is how I've framed some of my embroideries, minus the felt circle that would cover the back entirely. I've used both fabric glue and double-sided tape. 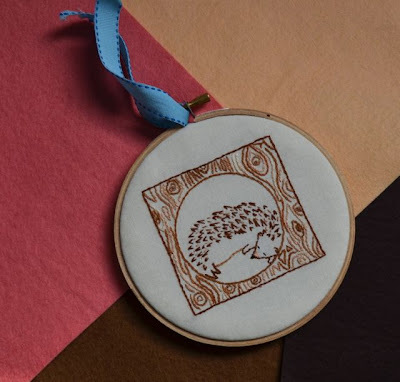 I'm on the fence about the felt circle...I like the look of it, but I like the idea of using as little glue as possible. I keep trying different ways of framing, but so far I haven't found a favorite. I love this idea and so appreciate you posting it. I always have hesitated framing in a hoop b/c I didn't want to see the messy back. These are great tips! This is a great idea for avoiding a messy back. I had never thought of it until my FQ Retreat name tag was finished this way. Thanks for the tutorial! Awesome tute! I stitch a piece of felt over the back (this is a new trick I picked up somewhere) to cover up my mess. Also, I love your collection! I have a Giggly Mama Tom Waits, too.